You can see it in person at the Pacific Northwest Truck Museum in Brooks, Oregon. They have a great show in August. Wow, 2 out of the 3 people who got this were actually at Pleasanton. What a co-incidence LOL ! 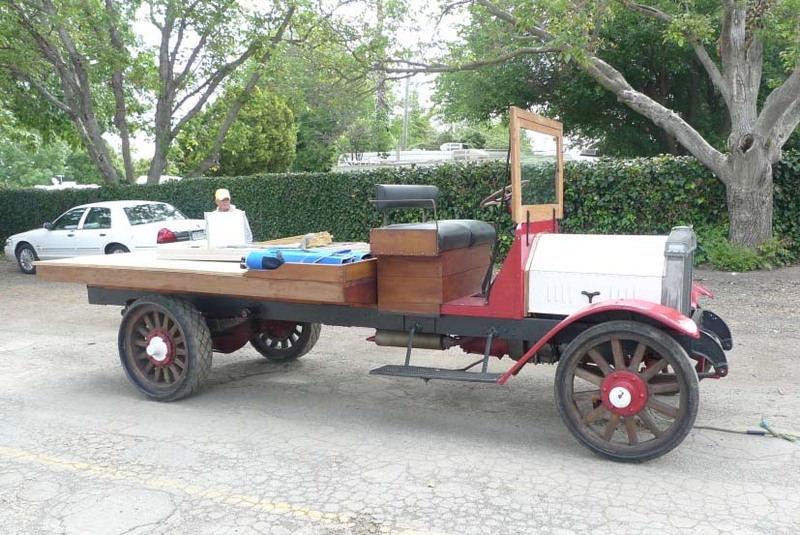 As already mentioned, this is a 1917 Gersix owned by the Pacific Northwest Truck Museum in Brooks, Oregon. 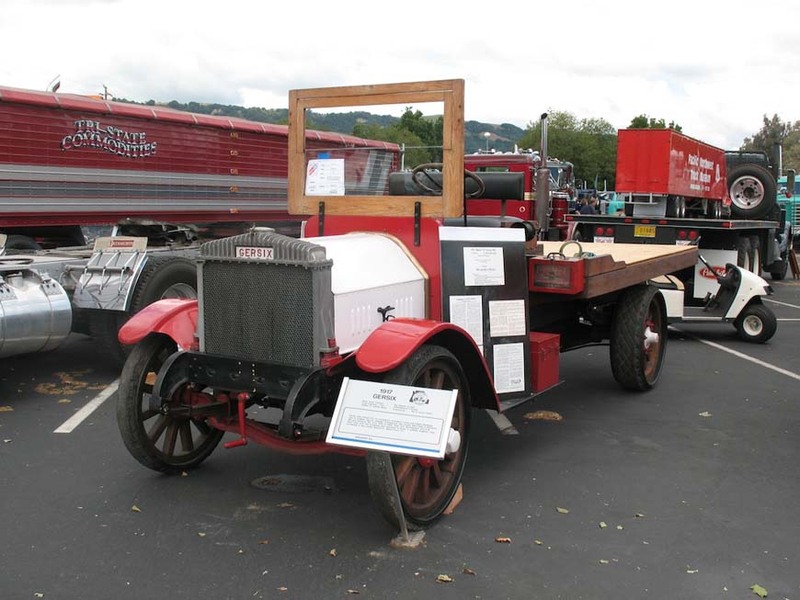 Louis Gerlinger, along with his sons, began building Gersix trucks in Portland, Oregon in 1915, The Gersix name is a combination of "Gerlinger" and "Six". as thse new trucks were powered by Continental 6 cylinder engines. By 1917 the bankrupt Gerlinger company was sold to Edward K. Worthington, who was later joined in ownership by Harry W. Kent. Gersix truck production continued, and by the end of 1922 the name was changed to reflect the 2 principal owners, Kent and Worthington. The trucks would now be known as Kenworth. Thanks to Dennis Wells for the photo, but since I borrowed it from his Photobucket page he may not know yet that I used it ! The 2nd photo below is from Mike W (tamangel) who was also at the show. Direct from Pleasanton, courtesy of Dennis Wells. Yep.Gersix. Thanks to those who have,or are,serving the nation,and prayers for those who gave the ultimate sacrifice.